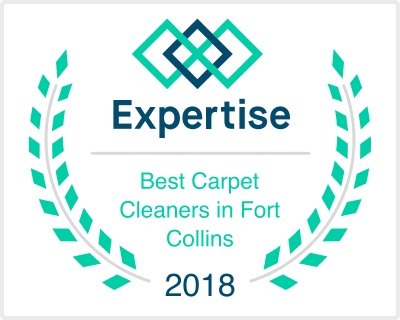 COMFORT CARPET CLEAN OFFERS 24/7 FLOOD RESTORATION AND WATER DAMAGE RESTORATION FOR FORT COLLINS, LOVELAND, GREELEY, WINDSOR AND SURROUNDING NORTHERN COLORADO AREAS. Floods are not an easy thing to clean up. With excessive water normally comes excessive spending, and there is little that one can do to stop water from getting into their homes or businesses. Northern Colorado saw the damage first hand in September of 2013 when massive, wide scale flooding hit Fort Collins, Loveland, Greeley, Windsor, and the rest of Northern Colorado. It only takes a few inches of rain within a 24 hour period to inflict severe damage to a home, but it can take months to clean up the damage. Luckily, many flood and water damage restoration companies were able to help restore homes to their original condition after the flooding. The Fort Collins and Northern Colorado communities saw people go out of their ways to help flood victims, and we became aware of the special place we live. We here at Comfort Carpet Clean have invested a heavy amount of time educating ourselves in the best flood restoration protocols, so we are able to properly help water damage victims clean up before the damage gets too severe. It only takes about 24 hours for water to seep in and ruin drywall and wood framing in a home. After 72 hours, if a home is not properly dehumidified, mold and mildew can become serious problems, and can grow very fast throughout the foundation of a home.​ Mold and Mildew are major respiratory problems for adults and children, so if you have the ability to cleanup the damage, do so quickly with the help of a Fort Collins Flood Restoration company. Flood Restoration companies need to be notified within 8 hours of a flood occurring to assess the damage and get the proper cleanup equipment in to a home to begin the process of water removal and mitigation. There are different categories of water you should be aware of when it comes to flooding in your home. Category 1, Category 2, and Category 3. Most of us will hopefully only see category 1, which is known as clean water coming from rainwater, broken pipes, a water heater, or steam lines. If you see gray or black water, you have more serious problems that will require additional cleanup. For safety purposes, if you see gray or black water, evacuate the home immediately. You typically won’t be able to see all of the water damage. Some of the flooding will leave traces of water that will be visible in your drywall, the wood behind your drywall, and of course your carpet. Most of the damage will be within your walls, and in places where you can’t see. To learn more about potential damage within your home, call your Fort Collins Flood Restoration expert today at 970-682-8119. ​How can you prevent water damage in the future? Regular maintenance checks on your roof and your plumbing are a start. Roof leaks are a major factor in home flooding or water damage. Broken pipes can lead to many gallons of water spilling into your home. Consult a roofing or plumbing company for tips on regular roofing and plumbing maintenance in your home. If you have a basement, have a professional install a new sump pump in case the water table near your home reaches a height that can flood your home. Make sure that there is a battery backup on the sump pump in case your homes power is shut down for an unforeseen amount of time. Be careful where you plant trees and shrubs. Some trees have very intensive root systems that can but up against or break the pipes leading into you or your neighbors home. If you have trees that you fear are a potential hazard, contact a tree service professional for more information on potentially removing the tree. Water Damage Mitigation and Restoration Experts – Call our Fort Collins office today at 970-682-8119. Did you know as little as a few gallons of water can cause major mold problems and water damage? If you have a flood in your home or business, fast action is the key to minimize that damage. Luckily, we can get to your home or office 24 hours a day, 7 days week. Comfort Carpet Clean responds quickly with state-of-the-art equipment and techniques to remove the water, dry your home, and return it to a pre-flood condition with the least possible disruption. With the use of calibrated moisture meters and humidity meters, we find hidden moisture and monitor how well your building is drying. In addition to prompt service, we will work with your insurance company to get your home back to normal or your business up and running in the least possible time. When disaster strikes, call Comfort Carpet Clean at 970-682-8119!